The Band’s musical collaborations read like a ‘who’s who’ of the international music scene, and have included artists as diverse as: Tony Bennett, Martin Taylor, Robert Palmer, Louis Stewart, Van Morrison, Amy Winehouse, Mel Torme, Clark Terry, Michael Buble, Dr John, George Benson, Van Morrison, Georgie Fame and Ray Charles … to name just a few. 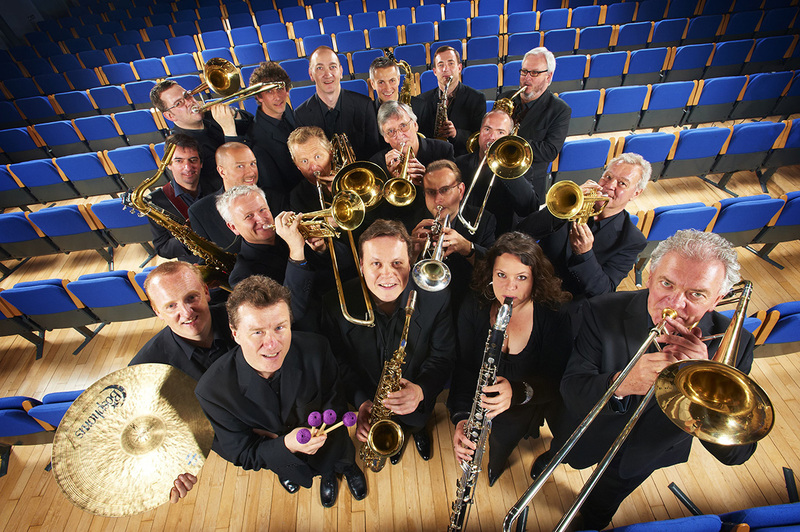 In addition to its regular studio recordings and concerts, the BBC Big Band regularly gives live performances at major venues around the UK, as well as touring with major music artists abroad. Within the UK, the BBC Big Band is perhaps best known for its performances and broadcasts across the BBC Radio 2 and BBC Radio 3 platforms, whilst its performances also reach huge global audiences through its regular broadcasts for the BBC World Service and via the BBC’s website. Live performances have included numerous appearances London’s Royal Albert Hall as part of the BBC Proms and also at the ‘Proms in the Park’ series in Hyde Park; at major festivals such as Aberdeen, Cheltenham, Edinburgh, Great North and Brecon; as well as performances at the UK’s premier concert venues, such as London’s Barbican, Liverpool Philharmonic Hall, Snape Maltings, Manchester’s Bridgewater Hall and The Sage Gateshead. Linn recording artist and BBC Radio 3 presenter Claire Martin has spent the last 27 years honing the craft of jazz singing. To worldwide critical acclaim she has established herself as a tour de force on the UK jazz scene gaining an array of awards, including winning the British Jazz Awards seven times, along the way. Signed to Linn Records in 1984, Claire has since released more than 17 CDs with the label, collaborating with musical luminaries including Martin Taylor, John Martyn, Stephane Grappelli, Mark Nightingale, Sir Richard Rodney Bennett, Jim Mullen and Nigel Hitchcock on many of these recordings. Claire is a featured soloist with the Halle Orchestra, the Royal Liverpool Philharmonic Orchestra, the RTE Concert Orchestra, the BBC Concert Orchestra and, of course, the renowned BBC Big Band. She also presented BBC Radio 3’s Jazz Line Up between 2000 and 2017. Claire was honoured with an OBE for her services to jazz in 2011. His work is prolific, with overseas concert tours, weekly radio shows on BBC Radio Wales and regular performances across Britain and beyond in some of the world’s most prestigious concert halls. Jeff was chosen to front and direct the ‘Strictly Come Dancing’ Tour Band across and has also featured in TV and radio commercials for Skoda, Jeep and VW Motors.